Not the same as other Famous Men reprints - This one is better! 190+ illustrations to go with the stories, five new chapters added by historian Rob Shearer on Augustine, Patrick, St. Francis, St. Benedict, and Hildebrandt. The stories begin with the tales of the Bishops who saved civilization: Augustine & Patrick. And the Germanic chiefs who defeated the Romans: Alaric, Genseric, and Theodoric. Then come stories of the famous kings of the Franks: Clovis, Charles Martel, and Charlemagne. 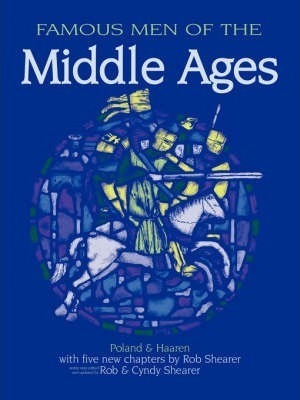 The second half of the book includes chapters on Justinian, Mohammed, Harun-Al-Rashid, El Cid, William the Conqueror, Frederick Barbarossa, Tamerlane, Marco Polo, and Joan of Arc. The stories of many of these figures can't be found for children anywhere else. Don't just show children pictures of castles; let them read the stories of those who built them and lived in them.